It’s the pose many people associate with yoga – a calm, wise-looking yogi, meditating with crossed ankles. It seems painful and impossible to get into – and while it can be if flexibility is missing in certain areas of your body – it doesn’t have to be. With consistent stretching of the correct muscles, Lotus is within reach more than you might think! 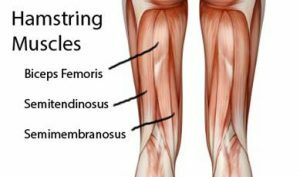 What muscles need to be stretched? This muscle connects to your IT band and the top/front of your pelvis. It helps internally rotate the femur at the hip – when tight, it limits external rotation. Internally rotates the femur bone in the hip socket – when tight, it limits external rotation. Since these muscles cross the hip joint + connect to your femur bone, the flexibility of these muscles are necessary for lotus. Tightness can prevent your knees from reaching the floor and creating deeper external rotation in the hip. The hamstrings don’t contribute to the rotation of the hip, but they do affect the tilt of the pelvis. If your hamstrings are tight, you are more likely to have a posterior tilt (pelvis tucked under), as your hamstrings attach to the bottom of your pelvis. This affects posture while in lotus (or any sitting position) – having a slight anterior tilt releases tension in the lower back and improves posture. While stretching the above muscles will help create more space in externally rotating your hip, the hip must be doing the rotation (it is a ball and socket joint!). More rotation in the hip (versus treating your hip socket, pelvis, and surrounding muscles as 1 unit) = less tension/stress on your knee joint. So what poses can be done to prepare for Lotus? Externally rotates the femur bone, opens up the hip joint, stretches adductor muscles. *Do not put a lot of pressure on knees to get them closer to the ground. Instead, perform a PNF stretch, which will bypass your stretch reflex & help release the adductors. Push hands & knees against each other, at 20% effort for 8 seconds. Relax for one breath, then gently press your knees down a little further than before. **Only perform PNF stretching 1-2 times every few days on a single muscle group. Stretches the outer hips/glutes. Add a twist to stretch adductors & external rotators. Place block under glute for modification. Modification for pigeon pose – stretches the outer hips/glutes & inner thigh muscles. Stretches hamstrings, lower back. Place block between legs & rest head on block as a modification. 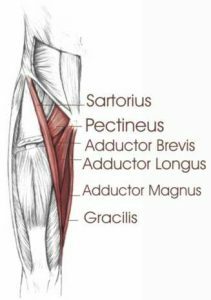 Stretches tensor fascia latae & glute medius – make sure to pull knee into chest before externally rotating your leg (creates more space in your hip joint) to cradle it + also flex your foot. Gently rock leg from side to side. 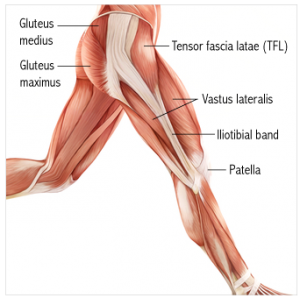 Stretches the hamstrings and the muscles attached to the IT band – Tensor Fascia Latae & Glutes. Use a block for modification. 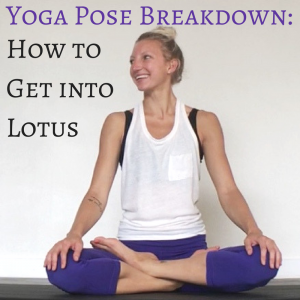 Once you’ve done a few of the above stretches, you can now try to enter lotus. **If you don’t feel comfortable attempting lotus just yet, do the stretches above 2-4 times a week (or more if you are looking to increase your flexibility faster! ), holding for 30-60 seconds. Begin in a seated position, both legs straight in front of you. Hug your right (or left) knee to your chest, and allow the knee to fall out to the side, relaxing the muscles around your hip in order for the external rotation to happen. If your knee is not close to the ground, stay here, and repeat the above step with the other leg, staying in butterfly pose. ***Also, if you feel any tension in your knee, that is a signal to STOP. When the external rotation of your hip stops (a ball and socket joint), the rotation is then transferred to your knee (a hinge joint, NOT a joint that can move freely like the hip!). This puts pressure on your cartilage and meniscus, which can cause serious injury to your knee(s). If you feel no pressure on your knees, begin to move your (flexed) foot up and across your thigh so that it rests on the inner crease of your hip. If you feel pressure at your knee at any point during the movement of your foot, do not continue with the stretch. If you are able to get into half lotus, repeat with the other leg. Sometimes, we are more open on one side of our bodies, so switching the order of the left/right leg on top might help you get into this pose easier on the other side. And that’s it! By understanding the muscles involved with getting into lotus pose, you now have an awareness of what to work towards. Give yourself a few weeks or 1-2 months of consistent stretching, and you’ll begin to notice an opening of your outer hips & inner thighs, making lotus a little more accessible. Growing up an athlete, I always struggled with flexibility. Basketball, Soccer, Track, and even Gymnastics – my body always felt stiff and limited. For anyone who has ever played sports or exercised, lack of flexibility seems to be a pretty common theme. And while you don’t need to be bendy like a gymnast, there are many, many benefits to stretching, which I have personally found through yoga. While there are many other ways to stretch on your own, Yoga has been a go-to not just for improving flexibility, but also for core strength, balance, increasing strength, alignment, body awareness, and focus! So when is the best time to stretch? Sometimes muscles are so tight that just stretching won’t work. Like a Chinese finger trap – the muscles must be shortened, then stretched to release. So working out the muscle first, then stretching right after is key to releasing tight muscles. 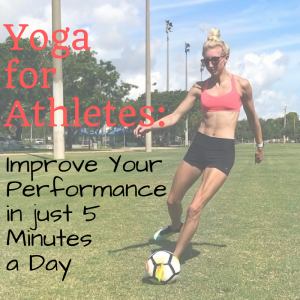 My favorite time to stretch is through Vinyasa yoga, where the technique of Dynamic Stretching is used, or immediately after a long run or workout when my muscles are warmed up and have a lot of blood flowing to them. 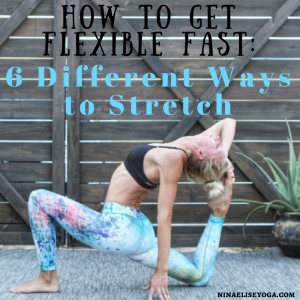 As long as you are getting a stretch in, it doesn’t matter when – just find what works best for YOU! So if you are completely new to stretching/yoga, where the heck do you begin? Just 5 minutes a day, 3-5 days a week. I swear by this – I committed to 5 minutes of stretching a day, and noticed results within just 1 month of being consistent. I picked a few poses, then held them while watching TV or reading. Super easy, and it wasn’t something that added much time to my already-busy days. The more you stretch, the more your body gets used to it, and it starts to feel GOOD (I promise!). Trust me, forward folds used to be my least favorite thing to do in the world! After a month of consistent stretching/yoga, I noticed my workouts were changing – I was running faster, had less pain/tightness in my hips, and my legs didn’t feel like bricks when I went on runs! My body started to feel like it moved with more ease, and my lower back pain started to decrease. **Please note that consistency is key. When you stretch, you are creating a new set-length for your muscles. If you only stretch once a week, your muscles will not stay at that new length. Think of it like working out – if you don’t work out, you’ll lose muscle, endurance, etc. Same with stretching – keep up with it, and you’ll notice results over time. So what poses can be done if you just stretch for 5 minutes a day? Below are a handful of yoga stretches that can be done every day, or every other day. I’ve included poses for every area of the body, depending on what you are looking to focus on. Pick a few for each day, and watch the magic of your body opening up after just 1 month! To enter: lay on back – cross one leg over the other, bending both. Reach hands to grab outer edges of feet, ankles, shins, or knees. Misc: Roll to outer edge of front foot to stretch inner thigh & open hip joint. Slightly squeeze glute to allow your quad muscle to relax. To enter: lay on back withbent knees. Place your nakle on the opposite knee, creating a “4” with your legs. 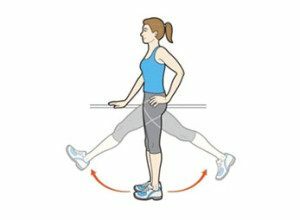 Drop your legs to the side so that your foot is flat on the ground. And that’s it! No need to do every single stretch in one sitting – just choose a few and call it a night 🙂 If you are new to yoga and are interested in taking a class, I recommend going to a yin or deep stretch yoga class – both are slower-paced, perfect for beginners, and offer many variations + props. **If you are in the South Florida area, pop-in to my Deep Stretch class on Wednesday’s at 6:30 pm! Any other good stretches that you have done to compliment your workout as an athlete? Leave a comment below! Have you ever looked at gymnasts, dancers, or people who practice yoga and think… how the heck are they so flexible?? Yah, me too! Obviously there are hours, days, and years of stretching and practice that go into creating a body that moves like gumby, but did you know there are different ways to stretch in order to reduce the amount of time needed to reach higher levels of flexibility? 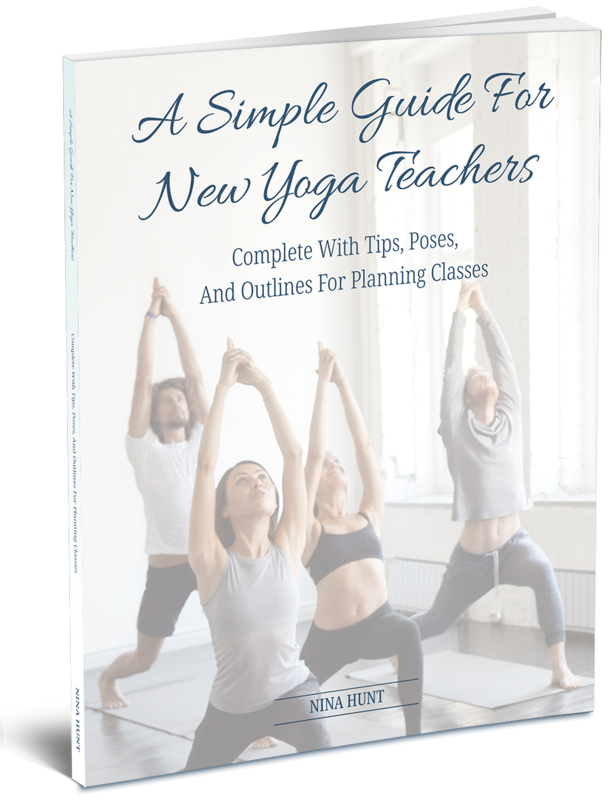 It wasn’t until after I became a certified yoga teacher and personal trainer that I really began to connect the dots – with a combination of different types of stretching + knowledge of anatomy, it became easier to deepen my stretches. 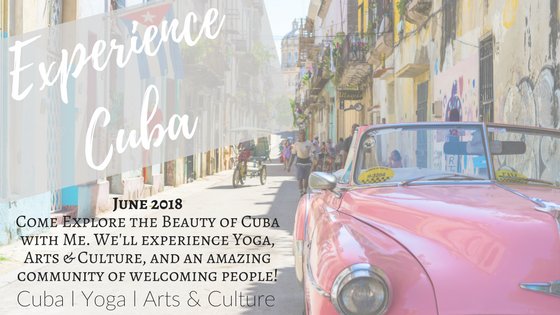 This exploration and knowledge has spilled over into my yoga classes and personal training clients, and can be done before, during, or after any workout – yoga, gym, workout class, etc! While you can’t become gumby overnight, there are many ways to work with your body and go deeper in every stretch you do. I’ve compiled a list of different tricks, tips, and techniques used by athletes, performers in Cirque de Soleil, and yoga superstars below – take a look, try a few of them, and watch how quickly your body changes with consistent stretching! Take a tennis ball, foam roller, or stick, and roll out your muscles! By doing this, you activate trigger points in your muscles, increase blood flow & allow them to release before you begin stretching. After rolling out your muscles, they are ready to be stretched! Below are 6 different ways to stretch – all work efficiently, and all can be done before, during, and/or after workouts. Static stretching is probably everyone’s least favorite way to stretch – it is basically just holding a stretch, no movement. Either you are stretching as far as you can go, or there is an outside force (like someone else) pushing you deeper into a stretch. Passive stretching is the most common way to stretch – holding for 15-30 seconds, 1-2 times, will be the most effective. If you aren’t a doctor or know the entire anatomy of the body and want to know how to relax & stretch a muscle deeper, just google like I do – “Antagonist muscle to_________” – and the resulting answer will show at the top of your search results! First, contract the muscle you want to stretch for 10-15 seconds. By doing this, it produces tension in your muscle and activates your golgi tendon (a nerve sensor). When your golgi tendon is activated, it sends a message to the brain. The brain then taps the nervous system, who is the mediator, which sends a relaxation response back to the contracted muscle. Release the contraction, then relax the muscle for 20 seconds. Repeat one more time. In doing this, you stretch the muscle and create a new “set length”. **When creating a new set length, you are actually creating muscle memory – which means it is easier to regain flexibility if you’ve taken time off from stretching! Example: in Heros pose, contract your quads. Then, relax into the stretch. Repeat. That’s it! PNF stretching – proprioceptive neuromuscular facilitation – is a combination of Isometric and Passive Active Stretching (as explained in 1& 3). It is thought to be the most advanced and effective way to stretch, as it was originally developed as a form of rehabilitation. First, passively stretch the muscle – stretch as far as you can, or have an outside force stretch you as much as possible for 3-8 seconds. Second, contract the muscle you want to stretch, and push into the stretch a little deeper (without moving) for about 6-10 seconds. Third, Relax for one breath, then push into the stretch a little deeper for 20-30 seconds. **Be sure to warm up the body & muscles before performing this type of stretch – there is an increased risk for injuring soft tissue due to the contract/relax technique. Check out this article for a little more detail on PNF stretching. Dynamic stretching is controlled, repetitive movements that increase flexibility. Meaning, Stretching with controlled movement. Example: Vinyasa Yoga! It is best to do in the morning, as this type of movement resets your resting muscle length for the day. Thoughts? Comments? Did I miss any good ways to stretch? Comment below! For my entire 20’s, I’ve struggled with food allergies, digestive issues, sinus issues, and brain fog. 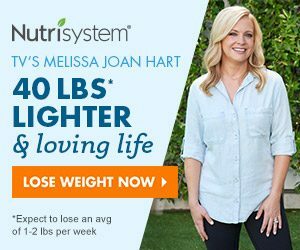 After trying different supplements, getting allergy tests at an ENT office, and trying different diets (paleo, vegan, vegetarian, etc), nothing was helping. After a little more research, I stumbled upon a business that had just opened in Columbus, Ohio – Rock N Shock Fitness. Rock N Shock is an all-female community focused on getting you in the best shape of your life. 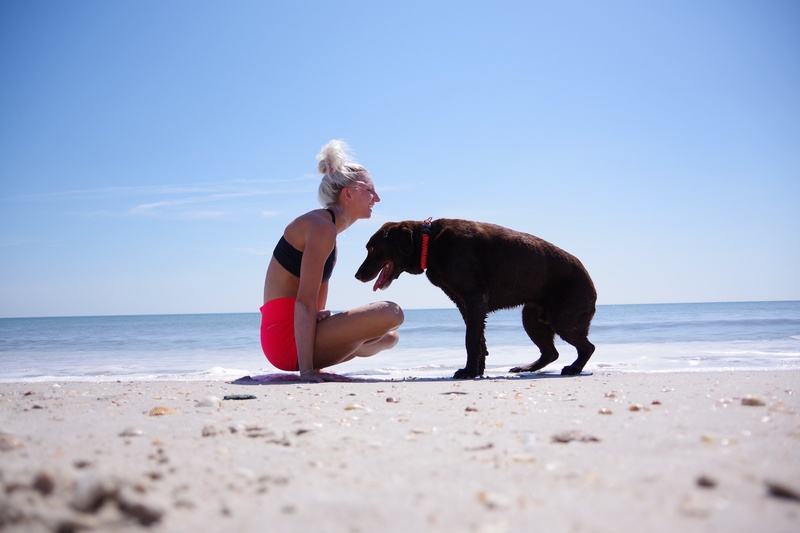 The owner, Danielle Miranda, spent years developing a system that encompasses the entire body, internally and externally, to get you to your healthiest self. This is done with initial testing to find out what is really going on with your body – food & non-food intolerance tests, nutritional deficiencies, metal toxicity, V02, and RMR testing. There are other tests that can be done, like DNA testing, and oxygen therapy + infrared saunas for detoxification. After getting your results, you can choose to work with someone on your diet + begin a workout plan based on your fitness level. **The intolerance testing (without metal toxicity) was $250, and the V02/RMR test (membership pricing included) was another $125. To get started, I made an initial appointment with Rock N Shock to discuss my fitness/nutrition goals, and what I was looking to get out of working with them. After speaking with the owner, she gave me a tour of the facilities and explained my options based on what we talked about. Intolerance testing – what foods am I eating that are causing issues? 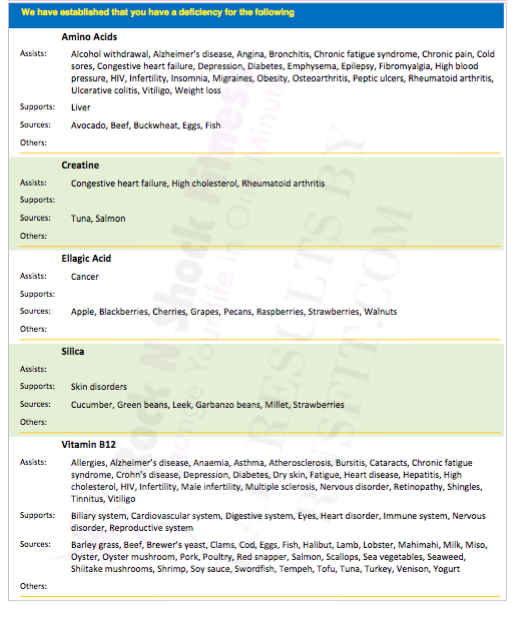 Nutritional deficiencies – what does my body need more of? 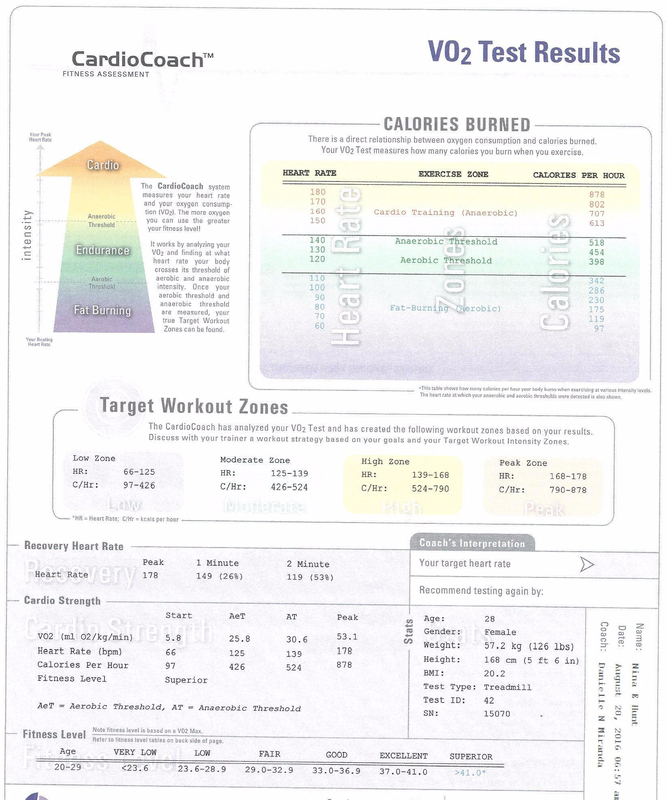 **I fully intended to begin the workout program after receiving my results, but ended up moving to Florida. To begin, I had to breathe into a tube hooked to a computer for 10-15 minutes for my RMR test. You can watch the screen while you are blowing to make sure that everything is being recorded properly – I am not sure exactly how it all works, but after blowing for 10-15 minutes, I was relieved to be done! 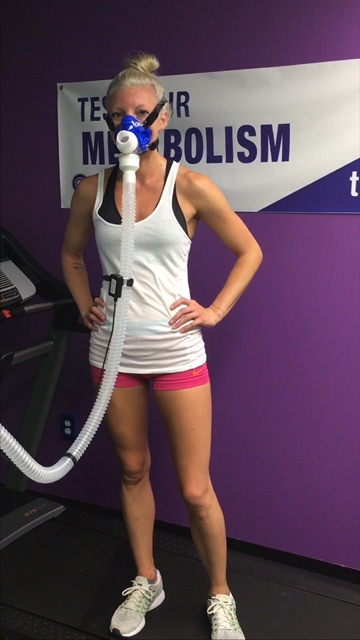 After the RMR test, I was hooked up to a mask, attached to a hose – think Bane from Batman. The hose was hooked up to a computer, and I had to run with the mask on. It looks a little scary, but you can breathe just fine. The person running the test started the treadmill low, with a little incline. Over time, she did timed intervals for increasing my pace & the incline, then back down again. At any time, when you feel like you cannot go any farther, you can tell them to stop the treadmill. Depending on how in-shape you are, it can be anywhere from 4 minutes to 20 minutes before you throw in the towel. I lasted about 11-12 minutes, which was the point where I felt like my muscles had no juice left in them (I could still breathe ok!). Below was about the halfway point for me – I was up to 6 or 7 on the treadmill, and things were really starting to get tough! …how effectively your body consumes and uses oxygen, your breathing patterns, recovery of heart and lungs, calorie expenditure at various heart rates, your aerobic and anaerobic thresholds. 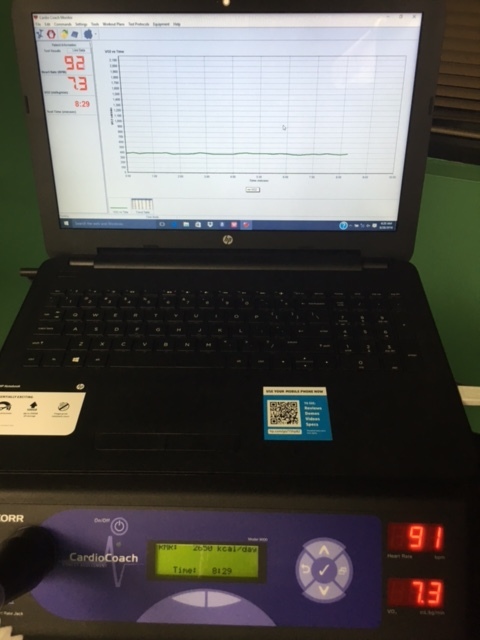 We will be able to identify the exact heartbeat your body turns anaerobic and exact heart rate zones for you to train and compete at in order to stop you from “hitting the wall “and then allow you to maximise every minute of every session and race. It was honestly a bit of a shock to learn that I had food intolerances to things I ate almost everyday – olives/olive oil, strawberries, sweet potatoes, carrots… basically, all things I thought were healthy, but were really things my body was rejecting! On top of that, I had amino acid and Vitamin B12 deficiencies. After talking over my results, I decided to cut out the foods on the list, as well as begin supplementing with a few vitamins. So, for the past 8 months, I’ve noticed an increase in energy, less brain fog, and less reactions to food after eating (I used to get mini panic attacks after eating sweet potatoes & anything with olive oil in it!). 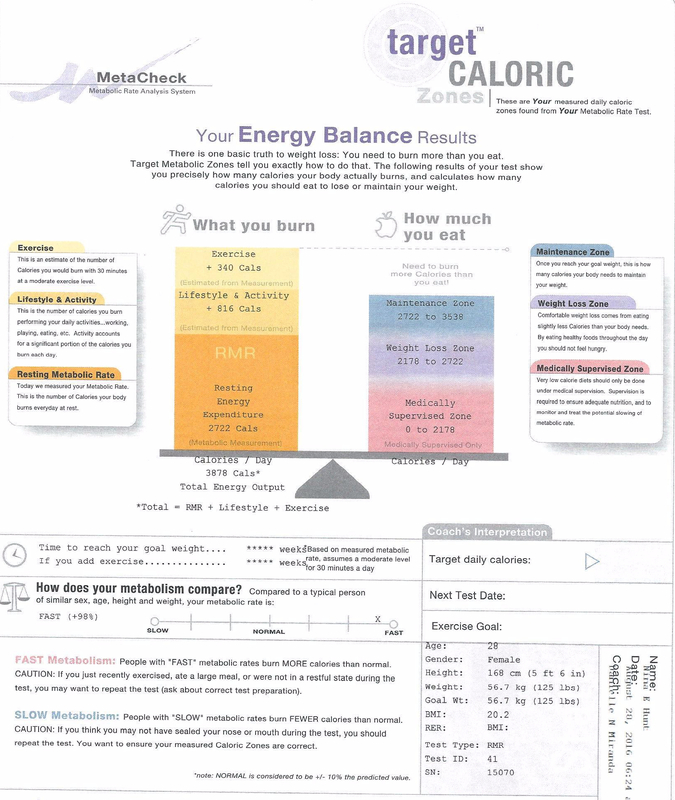 As for the V02 & RMR test results, they basically just confirmed that I have a high metabolism, and I workout….a lot. If I had stayed in Ohio & started a workout plan with RNS, it would have been to increase strength & speed & make my training more efficient. Depending on your results & your end goal, everyone will be different! There are no bad results – because once you know where you are physically & nutritionally, you can only improve from there! If you are in the Columbus, OH area, check out RNS (for women only, sorry guys! )… If not, google intolerance testing/v02 test/RMR test & your city/state… there are places all over the US that can do this type of testing for you. If you are looking to lose weight, get in better shape, get on a food plan, figure out why you are tired, improve your physical performance, or get more energy, I recommend investing in some sort of testing. Overall, I highly recommend getting some sort of nutritional & physical fitness testing done – it has been one of the best things I’ve ever done for my health! We can do what we think is the best for our bodies, but there might always be something that we are missing. I hope this helps – if anyone has done anything similar, comment below on your experience & if/how it has helped! **Please note I did not receive anything in return for this blog post – I am writing this from my own personal experience, and I paid for every service received. I am writing this post in hopes that it helps anyone else interested in finding answers for their health, or for improving their physical fitness!